New Technology - LYNETTE KLINE, O.D. 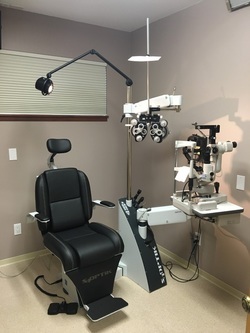 We are very proud of the technological advances that are now possible through our office in assisting with the continued health of your eyes. Our Retinal Camera permits us to screen for adult diseases such as Diabetic Retinopathy, Glaucoma and Macular Degeneration as well as other conditions or abnormalities of the retina. It can also provide a baseline for continued review of your eye health. This device allows us to take a topographical map of the surface of your eye. This can be extremely helpful in contact lens fitting and diagnosing diseases of the cornea. In addition, the instrument provides an objective analysis of your prescription.